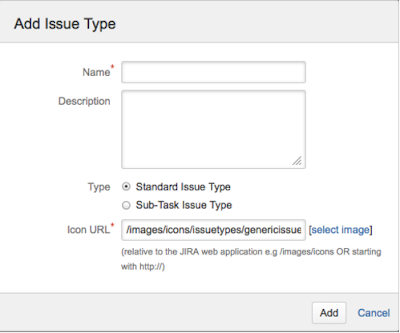 JIRA has a big feature which is known as Issue tracking. First of all we need to understand here what Issue tracking actually mean is, JIRA can manage all the type of issues which have been occurred in the project duration. There are different types of issues which have been managed very specifically in JIRA. You can see in the image. We will learn one by one briefly. Story itself defines that it will contain small content of the project. Like if Project has different modules then each and every module have different functionality so we can consider one module as a one story. Thus, we can list out the issues which have been created for particular module. 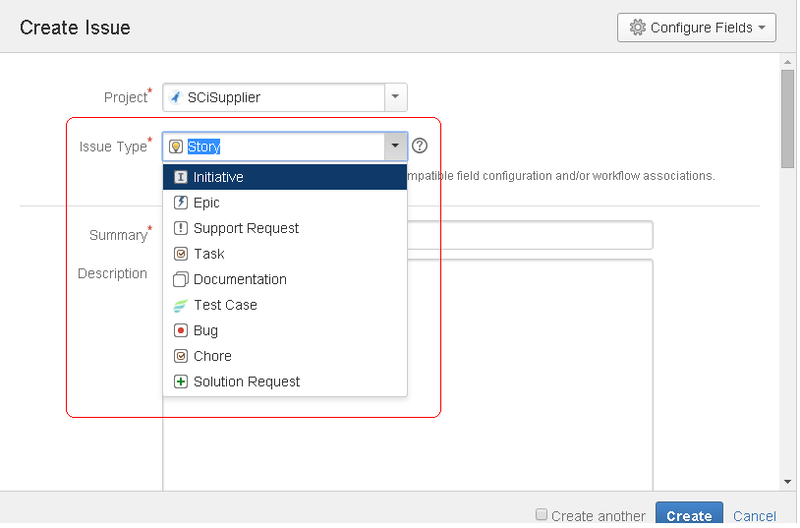 JIRA providing search functionality also from where you can filter all issues from different stories. Initiative has the first level. You need to create initiative first then epic is come on second level then you can create story according to it. For example take a project which has two modules as web application and android application and these two modules have been integrated with each other. So here Project is ’Initiative’, Web application and Android Application is ‘Epic’ and different functionality of this two modules can describe as a ‘Story’. You can create you Initiative for a project from JIRA. Accordingly it will manage. Epic is middle level stage. It placed between initial and story. We can take example like you have one client and He made deal for two product with you. Then here Your client name can become ‘Initiative’, Different two project can become ‘Epic’ and functionality can describe as a ‘Story’. You can post support request for your project from JIRA. Like if you need more space for working or running procedure on your machine and it will not support then you need to ask you IT support guys for increasing memory so you can work sufficiently. A Project can be dividing in many parts at the time of development phase. Different people can work in different part. 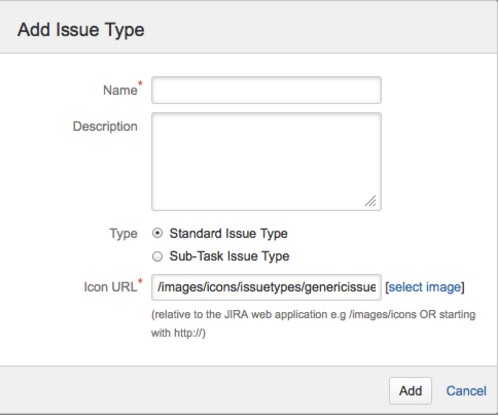 JIRA manages this too by assigning a task to the responsible person. If you want to give a task to someone then use this issues type. Documentation is very important for Project. All the documents should be updated in each stage of development. It will provide you all information in brief. Like what will be the release date, what will the changes have been made? This all information have been given in project documents in which If you found any bug then you can post it with the use of this issue type. Test cases will be prepared for performing different scenarios for application. Who will prepare this scenarios and who will perform this scenarios this will be decided by the manager and accordingly he/she can assign a task to the employees and they found any bug here then they can post it with the use of this issues type. A Test engineer can find a Functional or UI bug in developed application then he/she needs to communicate with developer so they post issues with different priorities so developer can fix it properly and application will become smoother. When they are posting an issue for a project at that time they need to select ‘BUG’ type in issue type field. If any feature has been discussed with client then manager can post it as a New Feature so whole team can know about it. While posting this manager needs to select issue type as ‘New Feature’. If test engineer wants to do add new feature in application then they should follow same steps. If any improvement is needed in project then user needs to post a ticket through selecting issue type as ‘IMPROVEMENT’. So team can work upon it accordingly. These are the main types of Issues. You can find other types also but mainly used types are defined here. Issue Type will help you to judge the issues and helping for solving them accordingly. You can add your own Issue type also. Check the below screen. As you have seen here ‘Add Issue Type’ button have been displayed on top corner where you need to click. Then Add Issue Type screen will be open. Here you need to add ‘Name’ and ‘Description’ then ‘issue type’ and ‘Icon URL’ now click on Add button. Thus, your issue type will be saved and you can use it for the project.